Looking for the perfect harbour front location with panoramic water views and quick and easy access to Sydney's CBD (including the Opera House, the Rocks and the Harbour Bridge)? Then this is the ideal apartment for you. 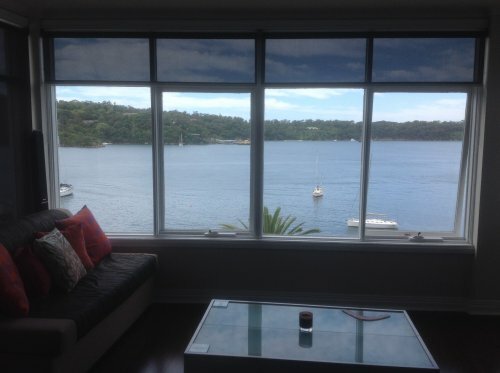 Location - This harbour front, landmark apartment building is located at Cremorne Point on the much sought after Lower North Shore and offers amazing views over the harbour. 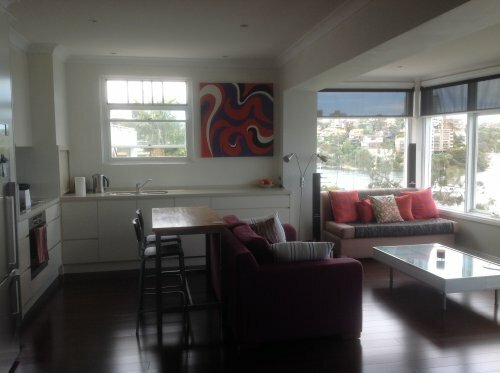 The apartment - Situated on the 3rd (top) floor of this Federation building, from the living room you will enjoy 180 degree views over Mosman Bay, Taronga Zoo, Vaucluse, Double Bay and Woolloomooloo. The building also has a lift. The apartment is light and spacious, offering 2 double bedrooms, 2 bathrooms (1 ensuite), a large open plan living, dining and kitchen area, a fully equipped kitchen, satellite TV and an internal laundry. Open air swimming pool - Another benefit you will be able to take advantage of during your stay is free access to the famous Maccallum Pool. The historic, open air, seawater swimming pool is right on the waterfront in the Cremorne Point Reserve and is approximately 5 minutes' walk from the apartment. It is free and available for anyone to use all year round. 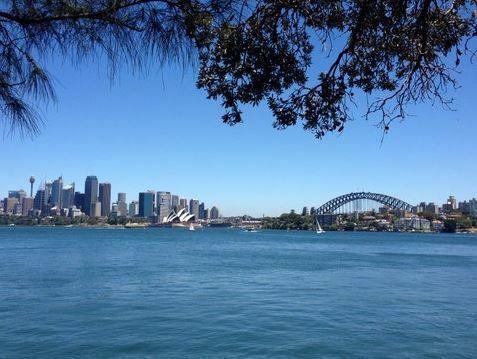 Transport links - The nearest ferry wharf is a short, 10 minute stroll along the picturesque foreshore of the Cremorne Point Reserve offering a quick and regular service to Sydney's CBD (transit time from Old Cremorne Wharf to Circular Quay Wharf is just 18 minutes). There is also a bus stop directly outside the apartment building and public on street parking is available on a first-come-first-served basis in the immediate vicinity. This is a very peaceful and scenic harbour front location, a short ferry ride from the CBD. 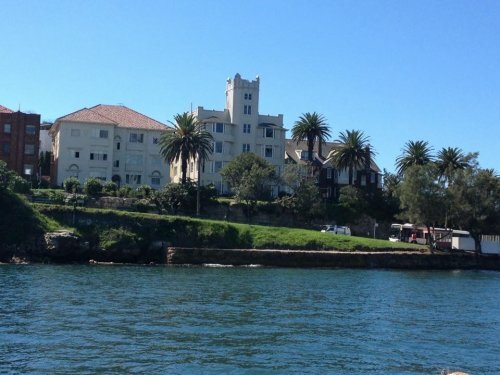 Cremorne Point is a very popular area on the Lower North Shore area of Sydney, immediately adjoining Mosman. The apartment building is the penultimate building at the end of Cremorne Point offering unrivalled views of Sydney Harbour. 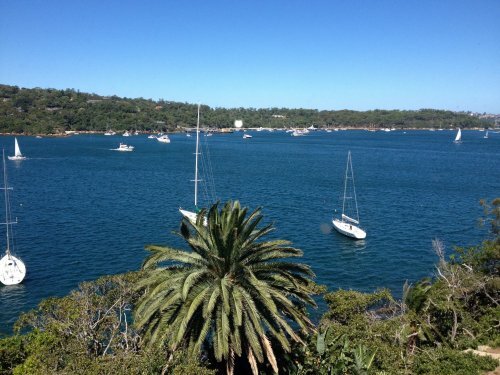 Situated in the Cremorne Point Reserve you will be surrounded by a wide variety of native wildlife. There is also a foreshore footpath accessible from outside the front door which stretches for many kilometres along the shoreline of the beautiful harbour and beyond. Thank you for looking at our apartment profile. We are a professional, non-smoking, British couple. Originally from Surrey in England, we are now spending time living and working in Australia as our children have grown up and flown the nest. 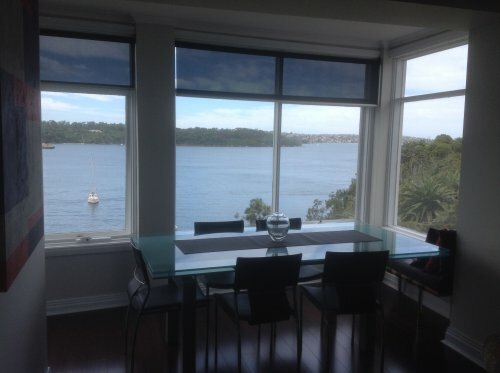 Our apartment offers spectacular views over Sydney Harbour with quick and easy access to the city's many sights and sounds and, of course, the famous Sydney beaches. We hope you enjoy your stay!